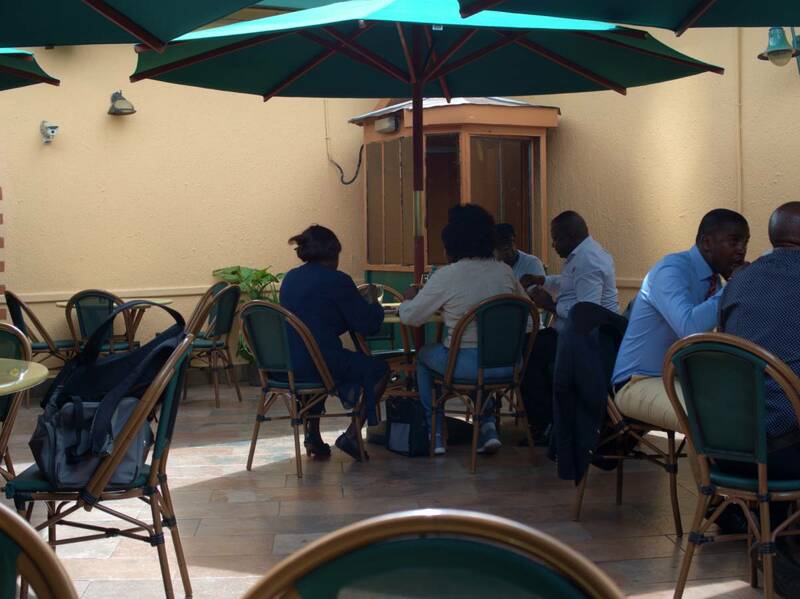 We hired a car and driver for two days: Martin Maina – Nairobi Specialists. He was certainly one of the best guides we’ve had, and we would highly recommend him to take you around Nairobi. 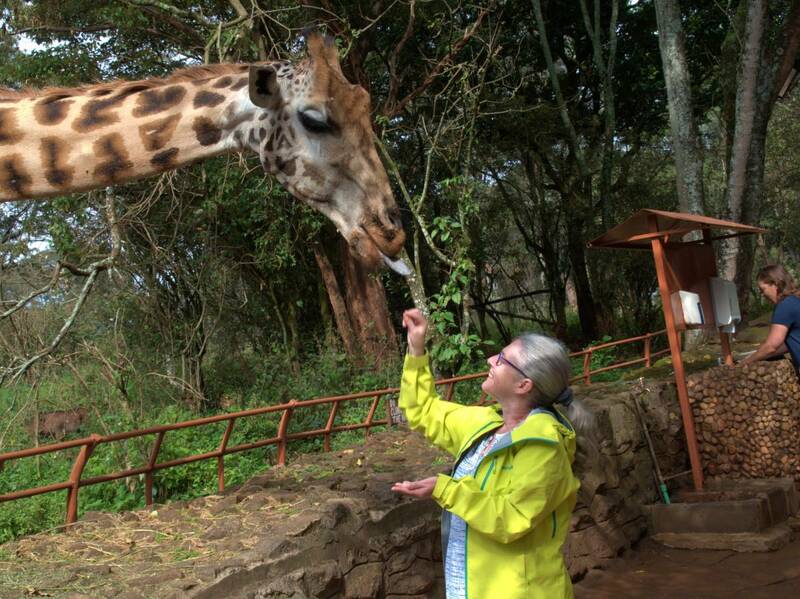 The first day, we did the usual tourist things: David Sheldrick Wildlife Trust Elephant Nursery, the Giraffe Centre, Bomas of Kenya, & Karen Blixen house. 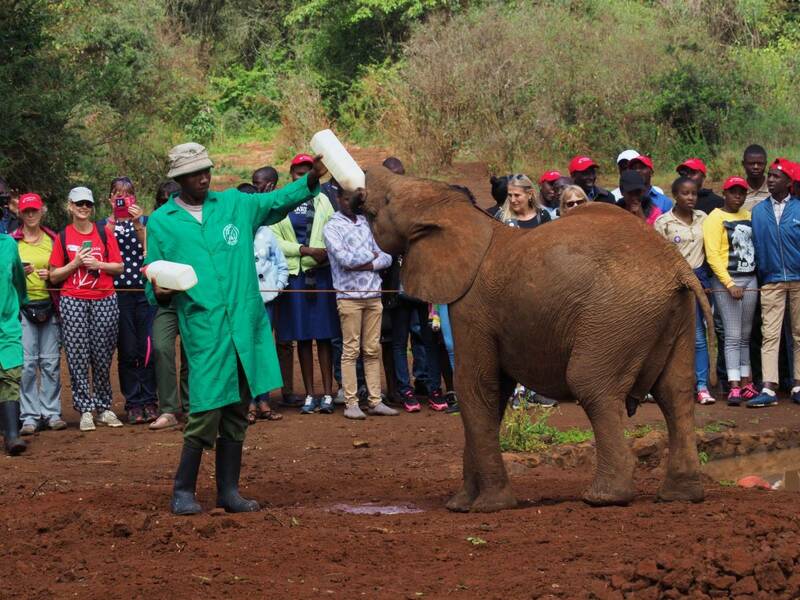 The elephant nursery rescues abandoned and orphaned baby elephants from around Kenya, raises them for a few years, and then slowly reintroduces them into the wild. 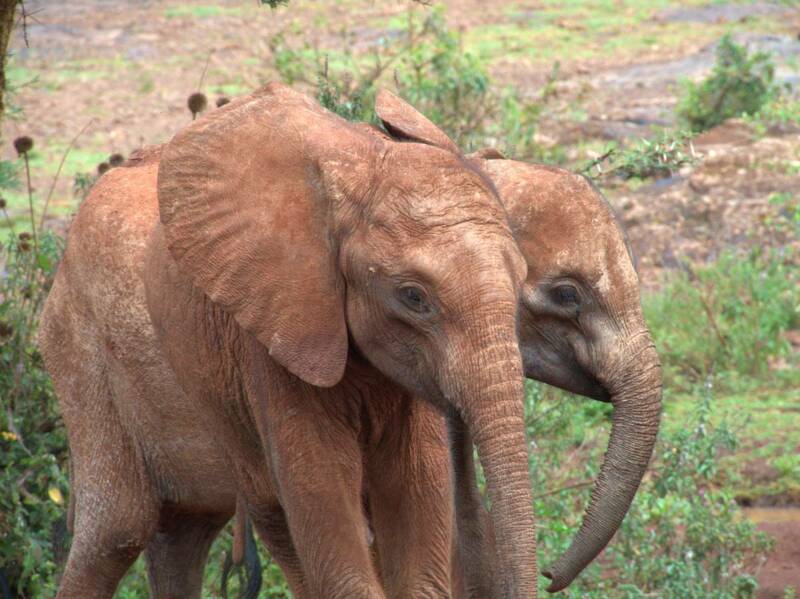 Since inception, over 200 elephants have been saved – quite a success story. The Giraffe Centre is nextdoor to Giraffe Manor, and allows you to get up close and personal with the Rothschild Giraffes. 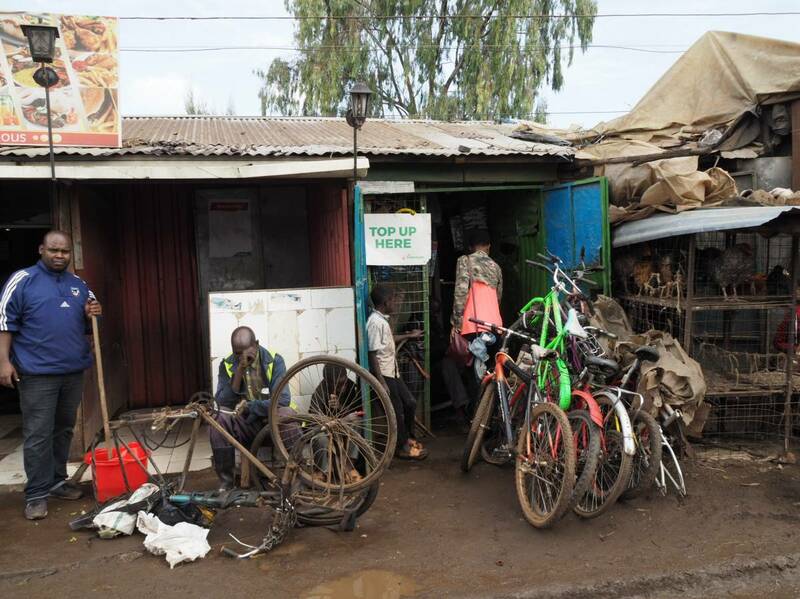 The second day we drove around Kibera, one of the slums, and then a middle class neighbourhood called Langata. 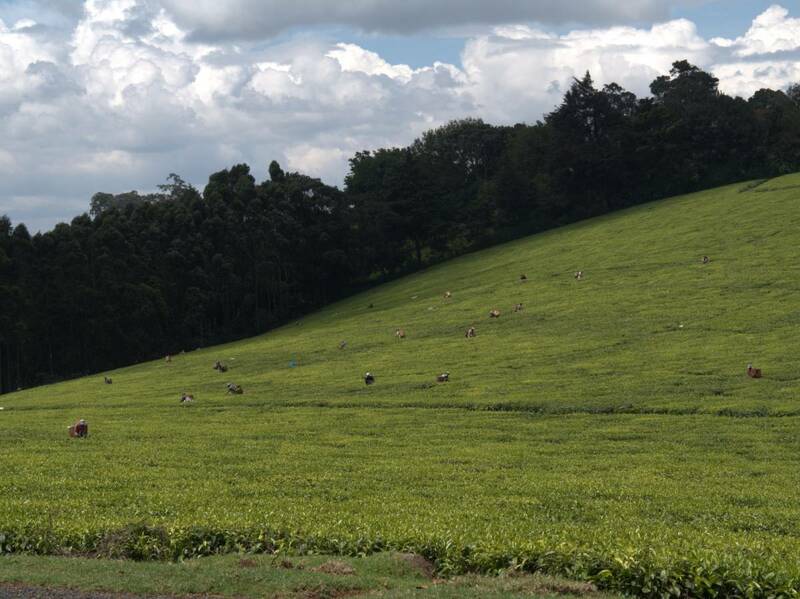 Then we went a short distance out of the city and saw tea and coffee plantations. We ended the day with a meal at a Kenyan restaurant called K’Osewe Ronalo, where you eat everything with your hands. Ronalo’s had a small kiosk for smokers. It’s a cross between the Tardis and the Cone of Silence… but people can retire there for a quick cigarette legally. It’s been an interesting few days… but the first safari starts tomorrow and that is way more exciting! Great to read your updates. I am sure it is quite an eye opener there. Looking forward to hearing about the safari…and seeing more pics!